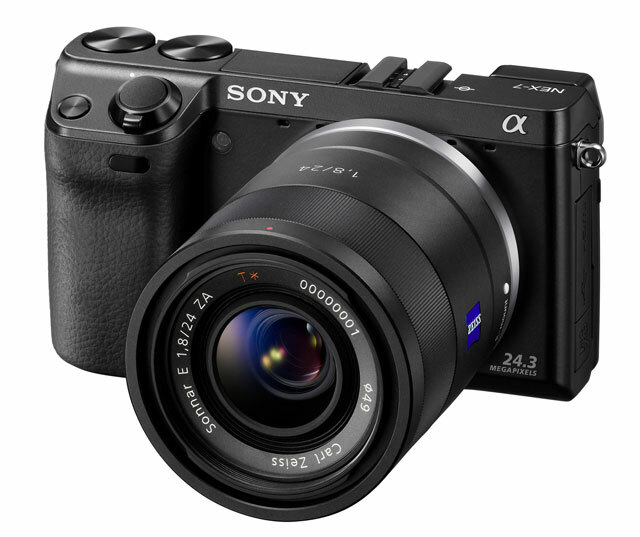 Andrew Reid of EOS HD has written a post on his first impressions on the video abilities of the new Sony NEX 7. What’s new over the NEX 5N? Newer 24MP sensor. To my eye Sony’s new sensor has better colour and a finer noise grain than the video from the 16MP NEX 5N. There were doubts about it in low light. We’ll come to that later in the full review. TruFinder OLED EVF – Sony are a leader in this technology and it shows. Unlike on DSLRs with a mirror, you can of course shoot video through the viewfinder on the NEX 7. I shot the video above entirely handheld through the EVF without a rig. CineStyle-alike flat picture profile – The NEX 7 has an extremely useful picture profile called Neutral that offers the flattest image I have ever seen in a DSLR video mode. Fantastic for grading, and no other camera holds onto as much detail in the lows as the NEX 7 with this profile dialled down. Beefier handling – To have shutter speed, aperture and ISO on dials rather than buttons is a real pleasure. Although I cannot seem to reassign the Tri Navi aperture control wheel for something else when the aperture control is on the lens which is a minor issue. Check out his post for more info and a video sample.